Wear your favourite Nikki Lissoni coins in a beautiful bangle. 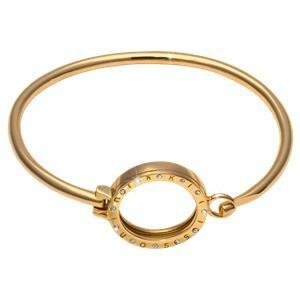 This yellow gold plated bangle has a fixed carrier to hold the small 23.6mm coins. Finished with sparkling crystals for added glamour this is the perfect accessory for day through to evening.